Designed to cover the prohibitively high cost of long-term care for in-home assistance, assisted living or nursing homes, long-term care insurance is itself prohibitively costly. It has to be expensive, because insurance companies sell policies which, when implemented to cover health-care costs, can end up costing the insurance company millions of dollars. Consumers who purchase long-term care insurance pay a great amount upfront in order to avoid paying much more should the insured require years of expensive long-term care. According to Spectrem’s study Investor Attitudes and Ownership of insurance Products, only 19 percent of investors with a net worth between $100,000 and $25 million own long-term care insurance. However, the only other forms of insurance that appear to be more popular are whole life (29 percent) and term life (28 percent), which each appeal to a differ subset of investors mostly depending on age. 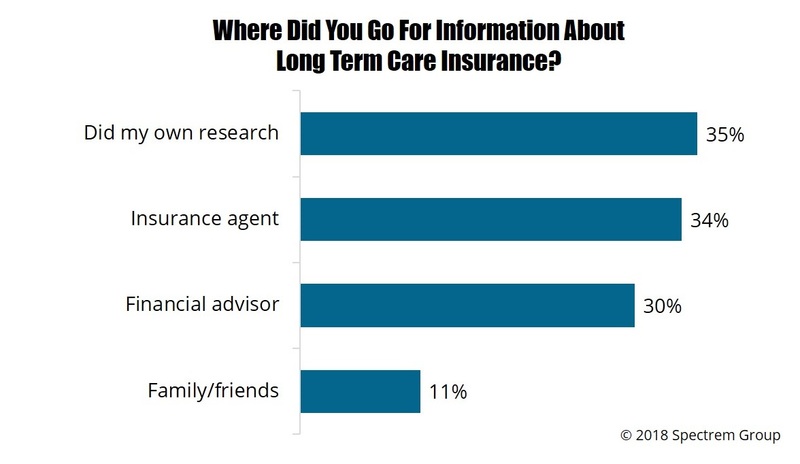 Among the investors who own long-term care insurance, more than half (52 percent) do so because they do not want to present a financial burden to their children. Future guilt is a powerful motivator.